Oliver, a very curious and cuddly kitty,was in need of a litter box update at one of the homes we recently remodeled.To accommodate the owner’s need for cleanliness and ease of access, as well as Oliver’s need for privacy, we designed a custom kitty litter box cabinet which was built by Contour Woodworks. When Oliver needs to do his business he simply walks up the ramp, turns the corner and... well, you get the picture. 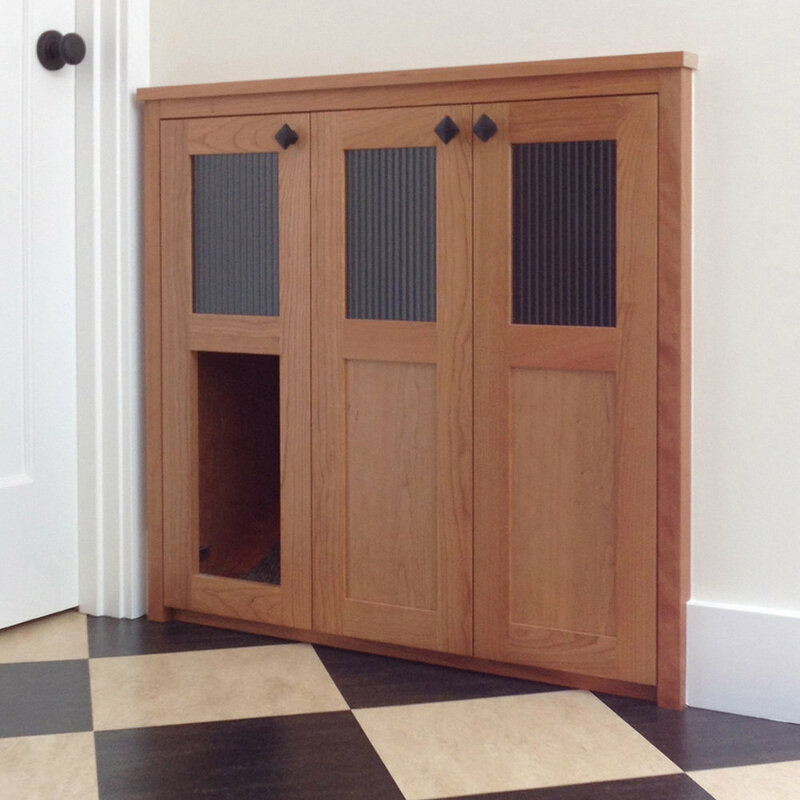 The U-turn entry sequence and sloped trim around the litter box keep the litter in the box. There is even a little LED light inside that turns on when it is dark inside. When it is time to clean up, the cabinet doors swing open and the litter box is pulled out like a drawer. Waste bags and scoop are stored on the shelf above the ramp area.